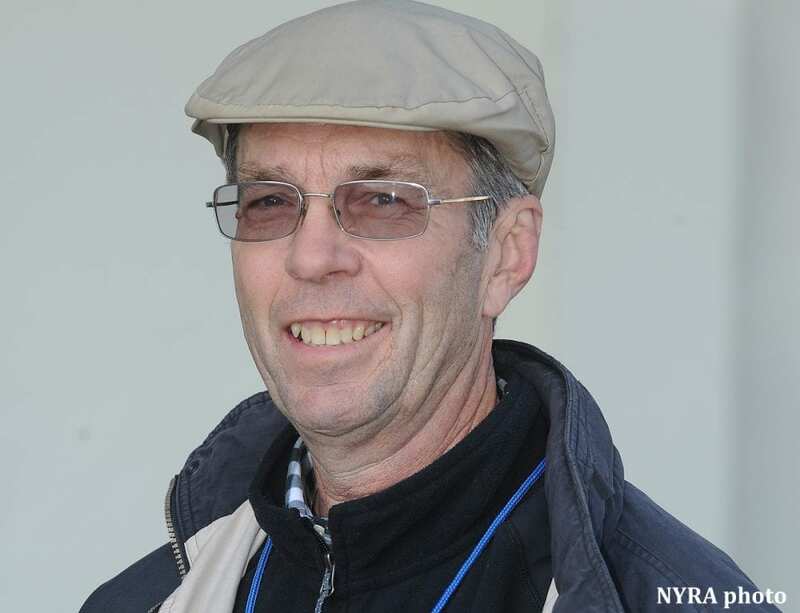 Pat Kelly: “This is a labor of love for everybody back here who spend so much time every day doing what we do"
Trainer Pat Kelly, a stalwart on the New York racing circuit for more than 40 years and a tireless supporter of the backstretch workers and the horses, has been named the NYTHA “EquiStar” for 2018. The EquiStar Award was created by the New York Thoroughbred Horsemen's Association in 2016 to recognize an individual or organization that, through compassion, hard work and generosity, enrich the New York Thoroughbred industry. Kelly will receive the award in a ceremony at the annual NYTHA PAC Golf Tournament at Rockville Links in Rockville Centre, N.Y., on Tuesday, Sept. 25. Kelly celebrated his 40th season at Saratoga this year. While the game has weathered significant change in four decades, the trainer's dedication to the industry and its people remain a constant. Of course, for Kelly, accolades are not what it's all about. “It's a real community back here, our own little world, and we have to take care of our people,” Kelly said. “It's important for the workers to know that their efforts are recognized and rewarded. Kelly is the Chair of the NYTHA Benevolence Committee, which offers a helping hand to backstretch workers in need. He sits on six committees altogether, including Backstretch and Safety, Scholarship and Aftercare. Kelly has enjoyed great success in his career. The early '90s were highlighted by the victories of Live Oak duo Solar Splendor and his year-younger brother Sultry Song, who collectively captured six Grade I races and earned more than $3 million. Grade I winner Christiecat and graded-stakes winners Binary Light, Jaded Dancer, Token Dance and Wortheroatsingold were also in the Kelly barn at the time. In September of 1992, Solar Splendor led every step of the way in the GI Man o'War S., and Sultry Song used identical tactics in the very next race to take the GI Woodward S.
Riskaverse and the much-loved Evening Attire came along early this century. Riskaverse, a multiple Grade I winner of $2,182,429, competed in the Breeders' Cup every year between 2002 and 2005. Evening Attire was a New York racing fixture from 2000 to 2008, earning $2,977,130. His 11 stakes wins included the GI Jockey Club Gold Cup in 2002 and, in his very last start at the age of 10, a track-record-setting 8 ¼-length romp going a mile and a half in the Greenwood Cup at Philadelphia Park. He is enjoying retirement at Akindale Farm in Pawling, NY. Kelly, however, is still a familiar figure on the backstretch, peddling his bike to and from Barn 23 at Saratoga. This entry was posted in People and tagged Andy Belfiore, humberto chavez, New York Thoroughbred Horsemen's Association, NYTHA, NYTHA EquiStar Award, Pat Kelly by Press Release. Bookmark the permalink.